Rahnema, Saeed. "Iranian Canadians". The Canadian Encyclopedia, 17 April 2018, Historica Canada. https://www.thecanadianencyclopedia.ca/en/article/iranians. Accessed 21 April 2019. Iran, formerly known as Persia, is one of the oldest civilizations of the world. Iranians are a relatively new community in Canada and one that continues to grow. 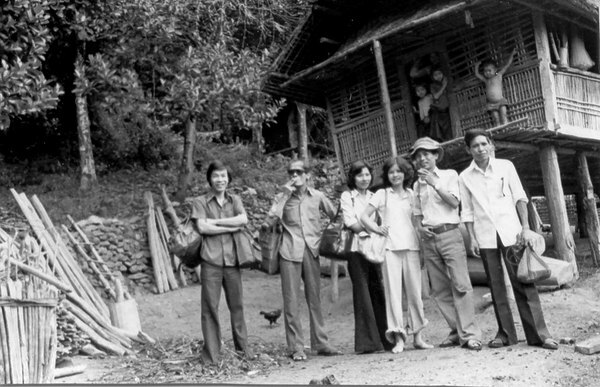 Their immigration to the country began in the 1980s, in the wake of the 1979 Iranian Revolution. In 2016, there were 170,755 people of Iranian origin in Canada, and another 39,650 had multiple origins, one of them being Iranian (for a total of 210,405 Canadians). From 2011 to 2016, Canada welcomed 42,070 Iranian immigrants. Iran is one of the top ten birthplaces of recent immigrants to Canada, ranked fourth after the Philippines, India and China. 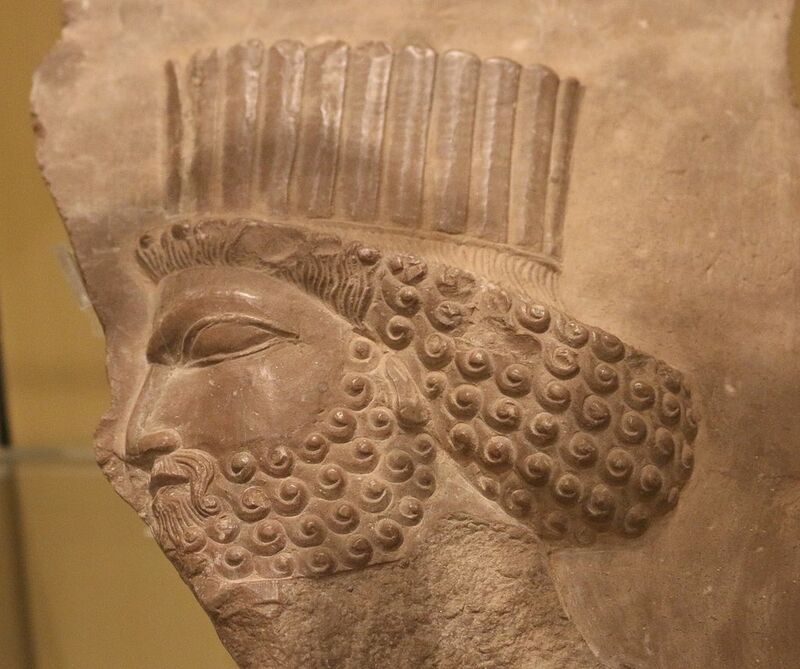 Iran, formerly known as Persia, is one of the oldest civilizations of the world. Iranians (formerly Persians) were of the Zoroastrian faith and converted to Islam following the 7th century Arab-Islamic conquest. A Southwest-Asian country with a population of more than 75 million, Iran is home to different national and ethnic groups, including the Fars (largest group), Azaris, Kurds, Arabs, Armenians, Assyrians, Lors, Turkmens and Baluchis. The official language is Farsi or Persian. Iranians are predominantly Shi'i Muslims but there are different religious minorities including Sunni Muslims; Christians (see Christianity) of various denominations, particularly Armenians, Jews, Zoroastrians and Baha’is. As a result of religious intolerance, the number of citizens with religious affiliations in Iran is declining. For example, government statistics in 1996 reported there were over 12,700 Jews in Iran but by 2011 the figure had declined to 8,756. As Zoroastrians have continued their migration from Iran, their numbers have declined from 27 900 to 25,200 in the same period. No statistics are available for the Iranian Baha'is, as the Iranian government does not recognize their religion. Like other nations, Iran also has a considerable secular laity. Iranians are a relatively new community in Canada. As late as the Second World War there were only about a dozen Iranians in the country. Immigration remained very low through the 1950s and 60s. After the 1979 Iranian revolution that overthrew the monarchy and brought the Islamic government to power, immigration figures rose significantly. In the 1980s and during most of the 1990s several thousand Iranians came to Canada each year, and the trend has continued to date. Before the 1970s Iranians migrated to Canada mostly for educational and economic or investment opportunities. However, the majority who immigrated later, particularly in the 1980s, were often escaping political and religious persecution during the Iran-Iraq war, or because of the cultural and social repression imposed by the Islamic Republic of Iran. Entering the 21st century, in addition to those who escaped the regime for political, cultural, and religious reasons, a growing number of people affiliated with the Iranian government have also immigrated to Canada. The vast majority of Iranian immigrants come from urban areas, particularly large and mid-size cities, and they continue to live in major urban centres in Canada, particularly Toronto. According to the 2016 Canadian Census, there were 170,755 Iranians in Canada (for a total of 210,405 Canadians having declared Iranian origins and other ethnic origins). Over 90 per cent of the people in Canada who are of Iranian heritage live in Ontario, Québec and British Columbia, mainly Greater Toronto Area, Greater Vancouver Area and Greater Montréal. With their relatively high level of education, Iranians are involved in a wide variety of economic activities, with many self-employed in businesses ranging from small and medium-size to large. Although trade between Canada and Iran remains relatively limited, there are import/export businesses for items such as Persian carpets which have become popular in Canada. A growing number of Iranian investors are involved in the Canadian real estate market, and there are several major developers in the Toronto and Vancouver regions. 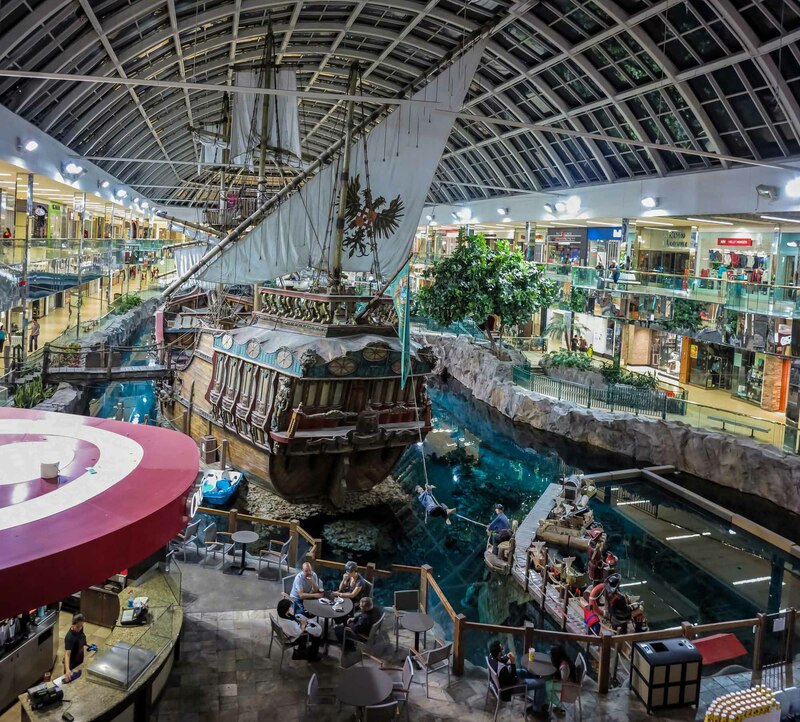 The Ghermezians, a Jewish-Iranian family that came to Canada in the 1960s, built a real estate empire and developed some of the largest shopping centres in the world, including the West Edmonton Mall in Alberta. 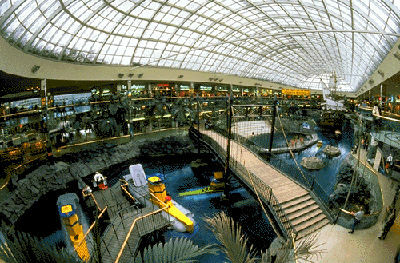 Unidentified people at West Edmonton Mall in Alberta. 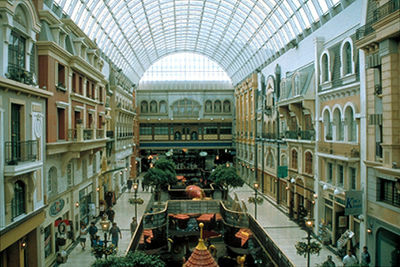 It is the largest shopping mall in North America and the tenth largest in the world. Political tensions in the aftermath of the assassination of Zahra Kazemi, the Canadian photojournalist killed in an Iranian jail in 2003, and the United Nations sanctions against Iran as a result of the country's nuclear program, have curtailed economic and trade relations between the two countries. 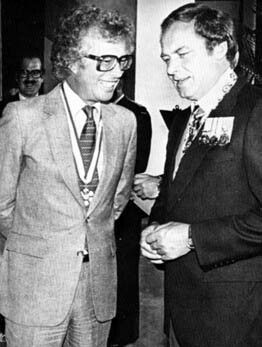 In 2007, representation between Canada and Iran was reduced to the level of Charge d’affaires. Additional sanctions were imposed in 2010, expanding an arms embargo and economic penalties related to the proliferation of Iran's "sensitive activities." In 2012 Canada suspended all diplomatic relations with Iran, by closing its embassy in Tehran and expelling all Iranian diplomats from Ottawa (see Diplomacy and Consular Representations). In 2013 Canada announced further sanctions as a ban on imports from Iran and exports to Iran. All these events had a negative impact on Iranian businesses dealing with Iran. Although most Iranian-Canadians are against the Islamic regime in Iran, vast majority of them are against theses sanctions, because of they hurt people of Iran. In February 2016, the Justin Trudeau government announced the lifting of some economic sanctions against Iran to allow Canadian companies to do business there. However, restrictions on the exports of critical goods, services and technologies were maintained..
As a relatively new immigrant community with diverse backgrounds of class, ethnicity, religion, politics and ideology, the Iranian community is relatively incohesive. Although Iranians share great pride in their culture and history, instead of a single group, they form a vibrant mix of sub-communities with a common language. Poetry and literature form the basis of regular gatherings of Iranians in different cities, where Iranian poets and writers, both visiting and local, recite their works; additionally there are book clubs that regularly invite Iranian authors from outside and inside Canada. The range of cultural activities related to Iranian culture is akin to those activities enjoyed by any ethnic group in Canada and include concerts, plays, film screenings, sports, art exhibitions, and volunteer organizations. Several Farsi/Persian weekly newspapers are available, including Shahrvand, which is the largest weekly Farsi newspaper in North America with offices and affiliates in several cities. As the Iranian community grows, and Canadians acquire the taste for Persian cuisine, Persian cafes, restaurants and the popular "chelo-kebabis" have opened in several cities. 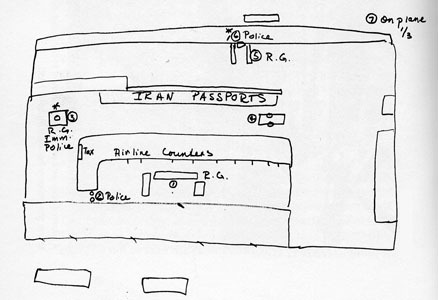 Practising Muslim Iranians, in addition to familial institutions, attend mosques and Islamic institutions established by the larger Muslim community in Canada, and several Shi'i mosques specifically targeting the Iranian community have been established. Some of these mosques are independent and others have links with the Iranian government. Compared with other communities originating from Muslim-majority countries, Iranians are on average more secular. A recent study by York University scholars, for example, showed that in contrast to Canadian Pakistanis, Afghans and Palestinians, over 80% of Iranian-Canadians do not consider themselves religious and are "tending to the secular." Iranians' participation in the Canadian electoral process, once limited, is on the rise, and a growing number actively participate in elections at all levels of government. In the 1997 provincial elections in Ontario, there were two Iranian New Democratic Party (NDP) candidates and several Iranian candidates who ran for the Board of Education positions. 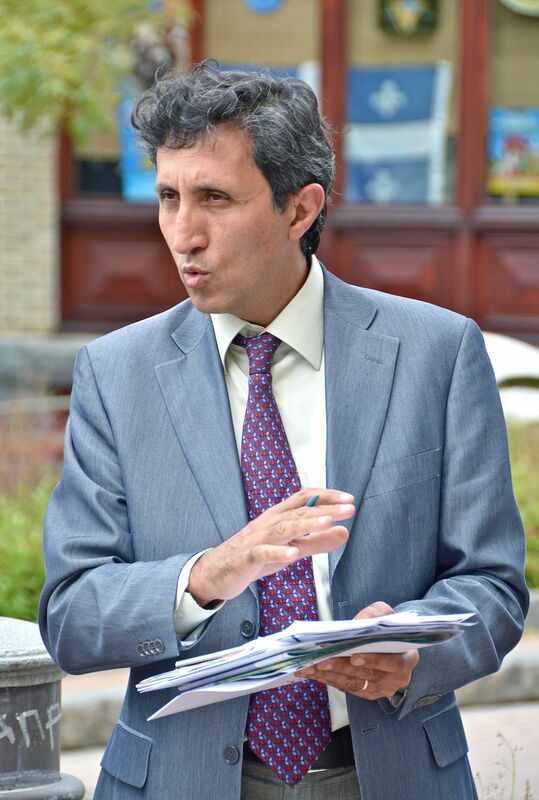 In 2014, two Iranians sat in provincial legislatures: Dr Reza Moridi, a Liberal MLA in Ontario (for Richmond Hill), and Dr Amir Khadir of the Québec solidaire, in the Québec Assemblée nationale (for Mercier). In 2013 Dr. Moridi, entered the cabinet of Ontario as Minister of Research and Innovation. Since the 2015 federal election, there are also two members of parliament of Iranian descent in the House of Commons: Ali Ehsassi (Willowdale riding) and Majid Jowhari (Richmond Hill riding) for the Liberal Party. Aside from Canadian politics, many Iranians, a significant number of whom came to Canada as political refugees, are preoccupied with the politics in Iran. 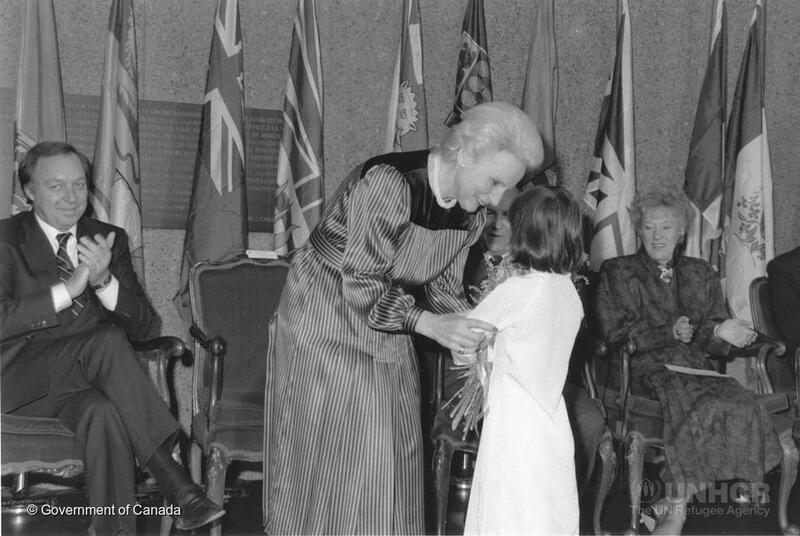 In addition to political opposition groups and organizations, human rights organizations focussing on women's rights, political prisoners and political refugees exist in Canada. After the Iranian presidential elections in 2009, political activism against the Iranian government drastically increased and has acted as a unifying factor for the Iranian diaspora. There have also been confrontations with Iranians affiliated with the Islamic Republic, and front organizations affiliated with the Iranian government have been exposed in the Canadian media. Although familial ties are strong in Iranian households, the realities of immigration and exile have taken a toll on family relations. As in other communities, Iranian families experience conflicts, both between couples and between parents and their children. Having gained economic independence and access to supportive social institutions, many Iranian women are questioning patriarchal relations and demanding change in traditional familial relations. The new realities have led to improved family relations in some cases and divorce in others. Tension is also felt between the first and second-generation Iranians who are being raised with different values and norms. There are many support organizations for the Iranian community and Iranian associations in major Canadian cities that provide services to new immigrants organize classes and run Persian libraries. As well, there are several family counselling organizations and women's associations that focus on family and women's issues. To preserve the Persian language, there are Persian schools and classes throughout Canada's major urban centres. In 2016, according to Census data, 225,155 people in Canada had Farsi as their mother tongue. 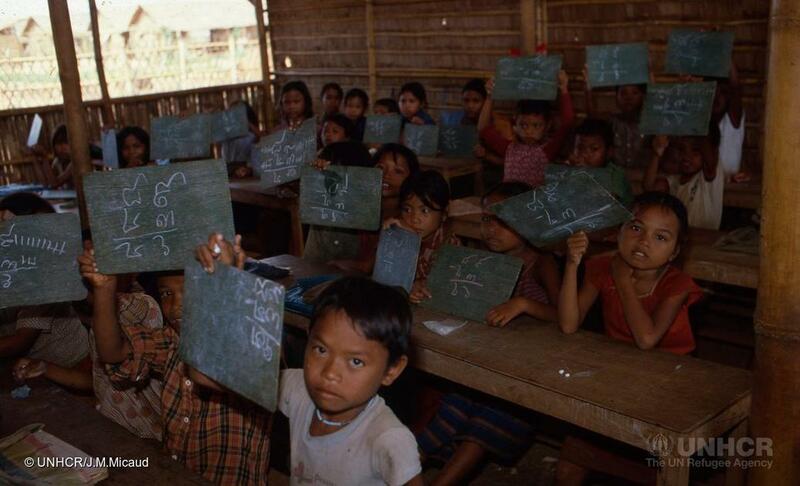 In fact, Farsi was the 11th-ranked immigrant language in the country (see Languages in Use). Parin Dossa, Politics and the poetics of migration: narratives of Iranian women from the diaspora (Toronto: Canadian Scholars’ Press, 2004). M.S. Kazemi, Iranians in Ontario, (Toronto: Mihan Publishing Inc., 1986). Valerie Knowles, Strangers at Our Gates: Canadian Immigration and Immigration Policy, 1540-2006 (Toronto: Dundurn, 2007). Amir Hossein Mirfakhraie, Transmigration and identity construction: the case of Iranians in Canada, 1946-1998, Thesis (M.A. ), Simon Fraser University, 1999. Haided Moghissi, Saeed Rahnema and Mark J. Goodman, eds., Diaspora by Design: Muslims in Canada and Beyond (Toronto: University of Toronto Press, 2009). Haided Moghissi, ed., Muslim Diaspora: Gender, culture and Identity (London: Routledge, 2006). PASSAGES CANADAImmigrants to Canada from around the world have encountered many hardships, opportunities, and successes as they set out to establish a better life for themselves and their families in their adopted country. Listen to some of their personal stories at the "Passages Canada" website. From Historica Canada.